In the early days it was very, very challenging (and still is) yet we found the help and support of the Hampshire Chamber of Commerce, Southampton City Council, Enterprise First and the Solent Local Enterprise Partnership very comforting and we are now delighted to say that we have been able to continue to support BAE, Babcock, Princess Cruises, Carnival and many more customers during 2016 and hope to continue into 2017 and beyond. The origins of Angel Marine date back to 1959 and the first oil fired heating system supplied to the marine industry by Kempsafe followed by one of the first oil-fired Galley Ranges. Today and almost 6 decades later Angel Marine are here to safeguard the knowledge, experience and support that has been key to the marine industry during this time. Following the demise of Kempsafe, Angel Marine have acquired the rights to the trading name, which means you will still be able to get hold of the same Galley Ranges manufactured in UK, qualified marine engineers to service and refurbish your equipment and the same ‘One Stop Shop’ for both offshore and onshore catering & laundry spares. "Kempsafe Ltd, Southampton - an internationally renowned company with almost 6 decades of experience in supplying catering and laundry equipment to the Marine Industry. Supplying a range of galley, refrigeration, laundry, as well as servicing and spares to numerous UK and global organisations including the Ministry of Defence, Babcock Marine and BAE." Former employees provide a lifeline to its customers when a South Coast Marine company closes its doors. © Copyright 2019. 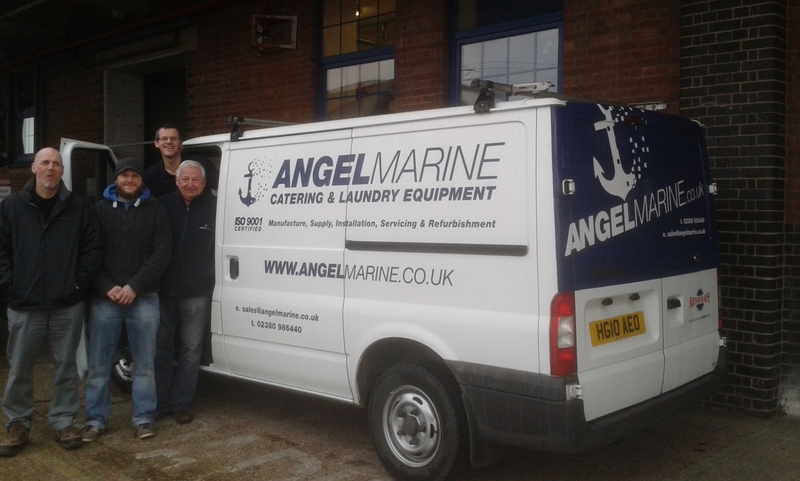 Angel Marine Ltd.